All good things must come to an end, and that is true with the Houston Symphony Orchestra's 2016-2017 Classical concert season. The fetching Mrs. B and I will be in attendance at Jones Hall in Houston on Saturday night as our world class orchestra welcomes guest conductor Marc Albrecht leading a program of Robert Schumann's Overture to Genoveva, Sergei Prokofiev's Violin Concerto #2 [with virtuoso American violinist Gil Shaham as the soloist], and Johannes Brahms Symphony #1, to close the concert season. 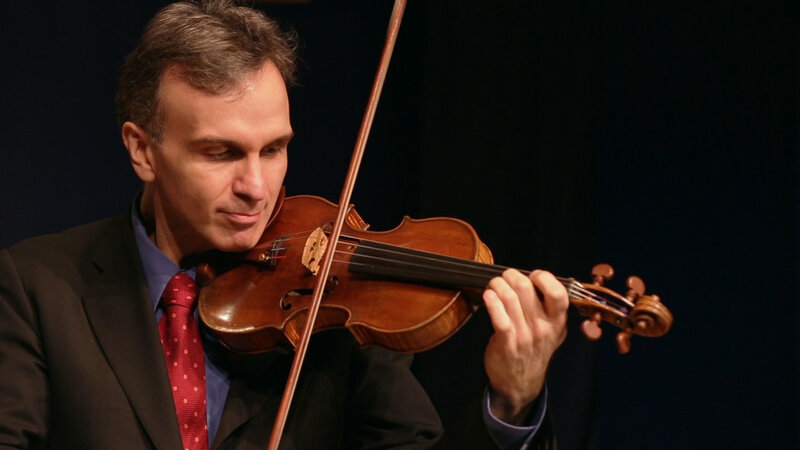 This from the Houston Symphony Orchestra website: "Hear Gil Shaham go “sailing through the darting off-kilter rhythms and pyrotechnical flights in the violin’s highest register with panache” (South Florida Classical Review) in Prokofiev’s spellbinding Violin Concerto No. 2. Marc Albrecht then concludes the season with Brahm’s heroic Symphony No. 1, a monumental work that takes listeners from darkness to triumph." As usual whenever the fetching Mrs. B and I attend a Houston Symphony Orchestra I like to give you just a little sample from the pieces we will hear: Prokofiev's second violin concerto begins with a haunting theme in the first movement, Allegro moderato, and then a sweet soothing Andante assai second movement begins about 12:35, and the fireworks final movement Allegro ben marcato begins about 22:32 in the video that has soloist Janine Jansen on the violin. Then hear Brahms glorious triumphant final movement [adagio-andante-allegro non troppo-allegro] of his first symphony in C minor. Note: While the video is in black and white and may not be as clear as in some others, I picked this You Tube video because I liked this old recording and sound of the late legendary Maestro Herbert Van Karajan leading the Wiener Philharmonkiker. So, please turn up the volume and enjoy a little of what we will be hearing in Jones Hall tonight [Saturday].